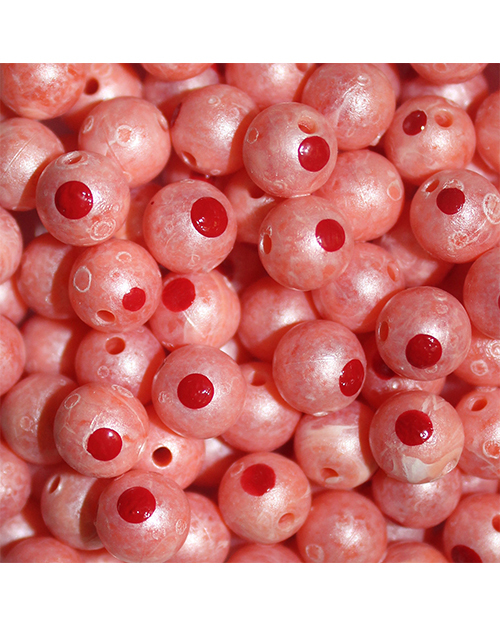 TROUTBEADS® Blood Dot Eggs Salmon Pearl – Anglers International Inc. These TroutBeads® are painted with realistic veining to help fool even the wariest trout. BloodDotEggs™ feature a natural looking blood dot on the sides of the eggs for a perfect samlon egg imitation. Available in 6mm, 8mm, 10mm, 12mm and 14mm, in a variety of great fish-catching colours.